Yes, once again it has been months since I’ve posted a recipe. Insert excuses here: full time dietetic internship + planning a wedding…. yadda yadda yadda. However, the light at the end of the tunnel is visible! And that means (hopefully) lots more recipes come September. Summer is upon us (technically as of this coming Saturday) and tonight is particularly muggy and gross in my lovely NYC. When hot weather hits, I love a good gazpacho. Last month when the first really hot night happened, I made a white gazpacho, which was cucumber and almond based. There’s a great coffee shop/sandwich place in our neighborhood that has been touting its watermelon gazpacho on a chalkboard outside, and every time we walk by, we go “mmmmm, we should make that.” So tonight, I did! Roughly chop your ingredients and toss everything in a food processor or blender, setting aside about 1/3-1/2 the watermelon first. Add more of various ingredients to taste (I added more salt, jalapeno, and vinegar after the first blend). 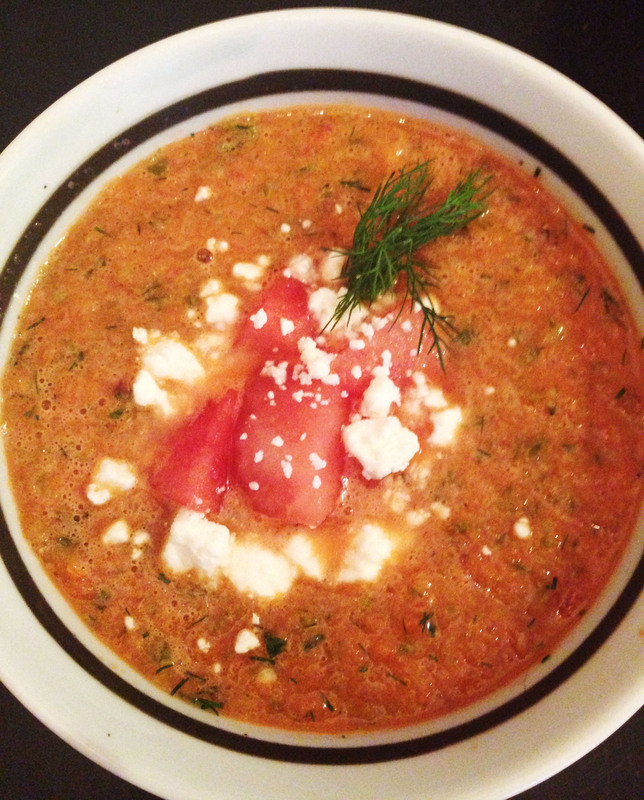 Serve in chilled bowls, garnished with feta cheese and dill! As an aside, NewYork-Presbyterian, the hospital at which I do my dietetic internship, has an Herb of the Month program – and dill just happens to be the June Herb of the Month! 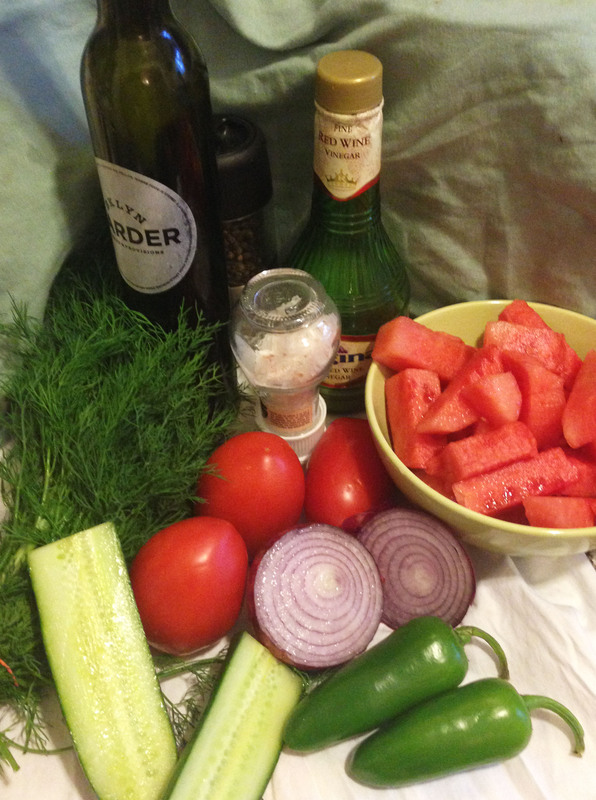 This entry was posted in Cooking adventures and tagged gazpacho, sides, soup, summer, vegetarian, watermelon. Bookmark the permalink.